God has truly brought us a mighty far way! 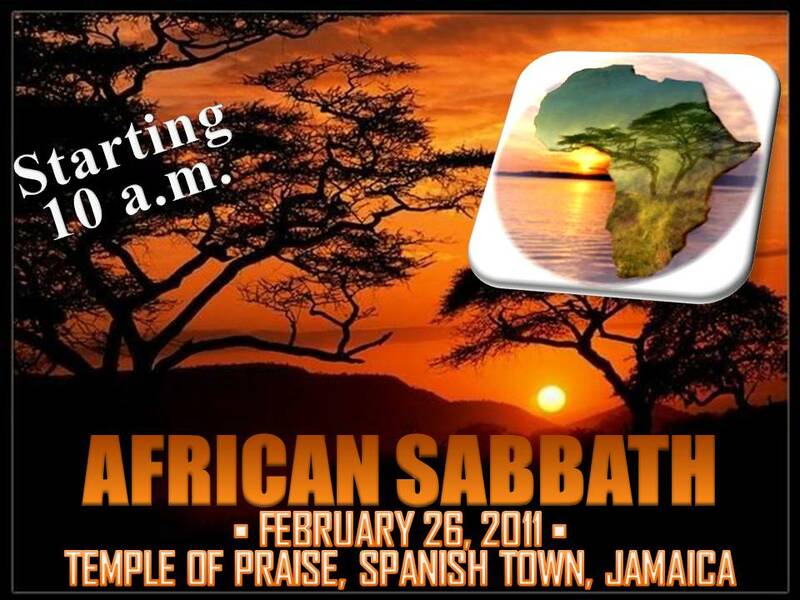 As Black History Month draws to a close for 2011 the Apostolic Family here in Jamaica will be hosting an African themed Sabbath Celebration on February 26, 2011 starting 10a.m. at Temple of Praise, Spanish Town, Jamaica. Specially invited guests include the Nigerian Ambassador to Jamaica, Mr. Peter Oyedele, other officials from the Nigerian High Commission and many other dignitaries. This is your special invitation to join us at Temple of Praise [or watch live streaming over the internet] as we offer up Praise,Worship and Thanksgiving to God! Bring a friend and help spread the word…… This year’s African Sabbath Celebration promises to be great so make it a date and don’t be late. Just remember that it is the Lord's Sabbath.